Merge PDF files into one PDF file software add join combine multiple Adobe files and merge as single document. PDF file joiner program arrange aseveral page according to ODD EVEN page sequence numbers or range. PDF files breaking application can split large documents into different pages and generate as seperate file. PDF page deleting tool can remove blank pages from adobe Acrobat file. PDF page adder merge multiple pages to forming a separate file which is easily accessible. It can change page sequencing and ording of multiple pages in Adobe files. This is standalone does not require Adobe acrobat. PDF page making utility is multipurpose user friendly tool to splitting and merging of PDF files. PDFs can set Meta properties such as author, title, subject and keywords. PDF can work with all latest windows such as win7, winVISTA, winXP, win2005, 2000, 98 and other windows. * Merge PDF files into one PDF file software split merge several files into single file according to user requirements. * PDF is user friendly utility can delete unwanted pages from Adobe documents and generate a single file. * PDF pages merger application can arrange multiple pages as per EVEN ODD sequence numbers or range. * This is standalone and independent utility does not require Adobe Acrobat. * PDF page extracting tool extract specific page from PDF file. * PDF can easily work with password protected PDF files. * PDF has users flexible and advance graphical interface to control. * PDF can change Meta properties such as author, subject, title and keywords to resulting document. 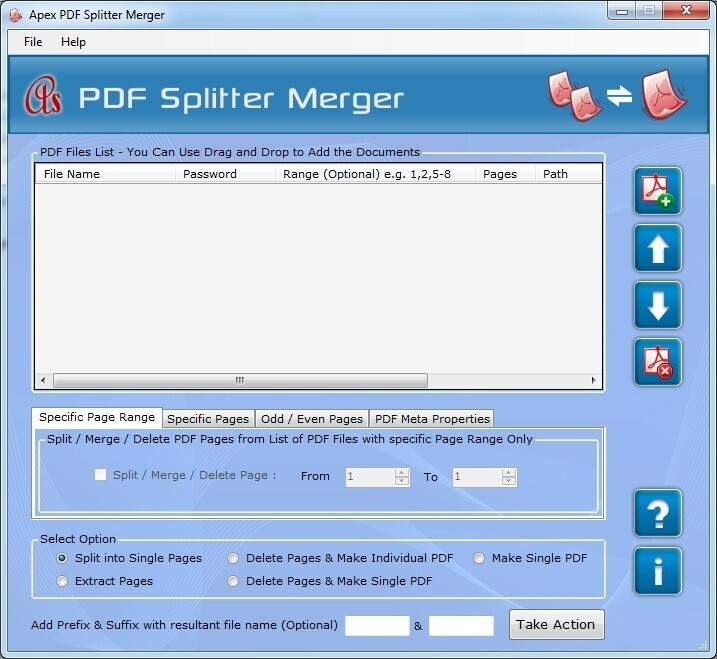 * PDF splitter and merger software provides high or low resolution of Adobe documents. * Merge PDF files software is portable application can run on different latest windows platforms such as windows 7, 2005, 2000, 98, 95, Vista, XP, NT and ME.